Finally read Amazon’s bestselling teen author, Anne Eliot’s romantic, high school crush romance back-to-back. The series is made up of two, full length novels, now combined here into one boxed set. Impossible because she’s Ellen Foster. The beautiful, smart and possibly fragile photography-girl. You’re Cam Campbell. The guy who plays football 24/7 with lame parents and no life. But what if during junior year, you finally get her phone number—and it all works perfectly—until you realize you might hurt her. When you’re seventeen and you lose your first love, everyone thinks you should simply move on and get over it. But what if the cute boy who wants to date you is nice but doesn’t give you the butterflies the first guy did? And what if that first guy comes back into your life and you discover all is not as it seems? 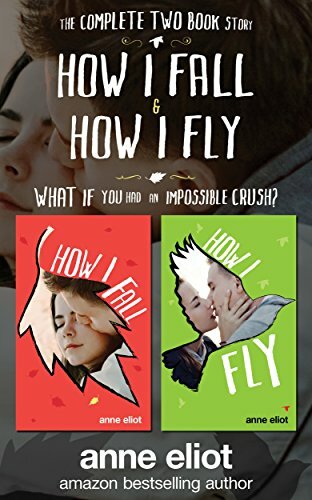 Anne Eliot is the author of How I Fall/How I Fly, a two book series, as well as the bestselling, young adult teen issue romances, Almost and Unmaking Hunter Kennedy. She loves writing about teens who live outside the ordinary and she’s devoted sweet first kisses and first loves. Anne resides in Colorado with a very patient husband, two teens of her own whom she adores (an some teens near and far thanks to hosting many exchange students) who are all growing up too fast. She can also be found tweeting @yaromance or goofing off on Facebook at facebook.com/anneEliotAuthor. Please visit her website at www.anneEliot.com for information on latest upcoming releases and additional fun and photos. 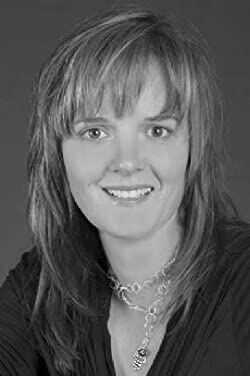 Any questions on subsidiary rights, inquiries about foreign translation and/or film rights should be directed to the awesome, Jane Dystel of Dystel & Goderich Literary Management. 2-in-1 Boxed Set! Free today! Finally read bestselling author, Anne Eliot’s romantic, high school crush romance back-to-back.